WARNING! 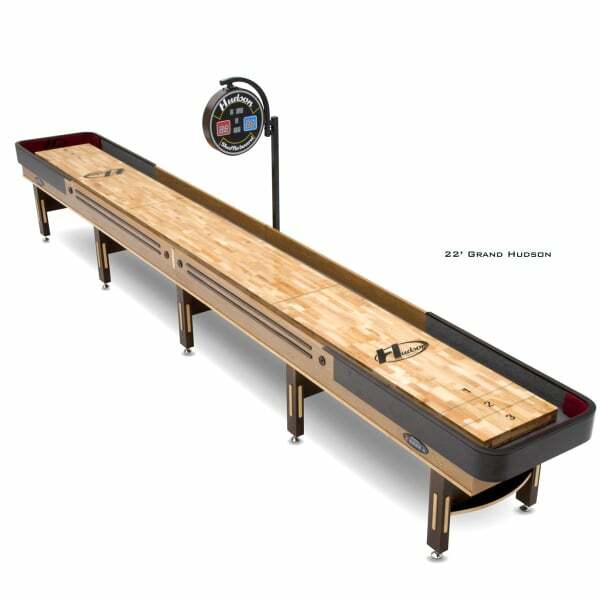 This Shuffleboard Table is for the most specialized, qualified, proficiently skilled and trained shuffleboard players! 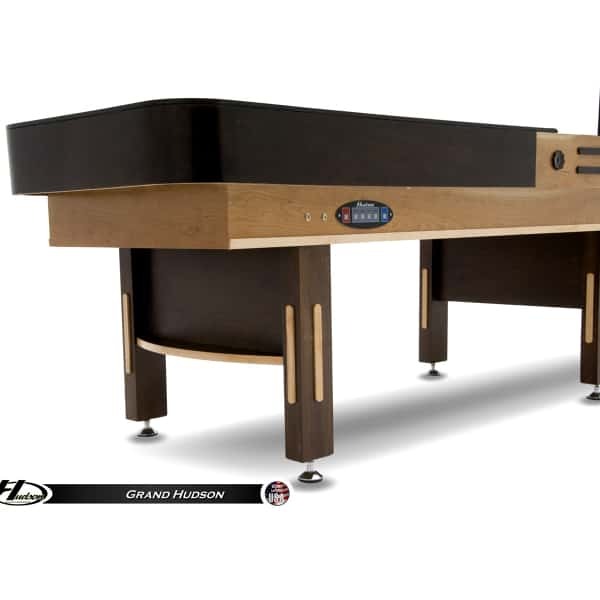 The 22' Grand Hudson Shuffleboard Table by Hudson Shuffleboards offers a massive, professional length playfield that features a 3" playing surface made from white maple and finished with a polymer coating that creates the perfect playing experience. Aficionados and novices of this ocean liner and country club classic alike can appreciate the beauty of the walnut cradle with solid leg inlaid with maple trim. Included with the table is everything needed to get playing, such as one set of playing weights, a storage case, two bottles of speed powder, two cushions to protect the end of the cradle (view the drop down menus to the right for the choices) and one board wipe. 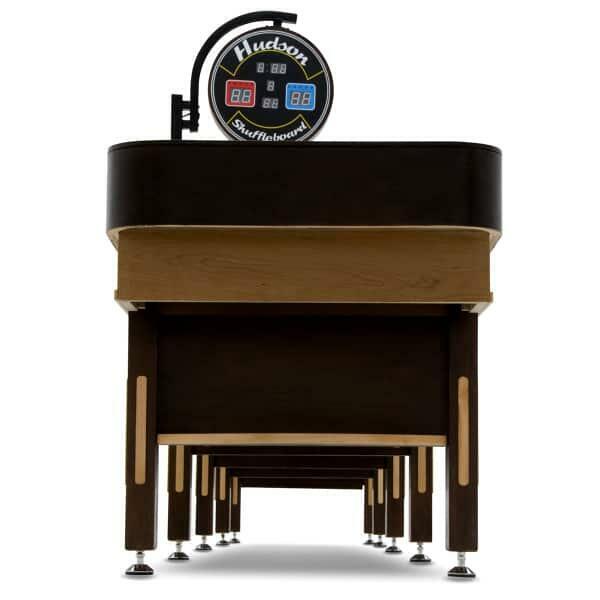 The round, 18" electronic scoreboard adds a dramatic finishing touch to an overall impressive shuffleboard table. 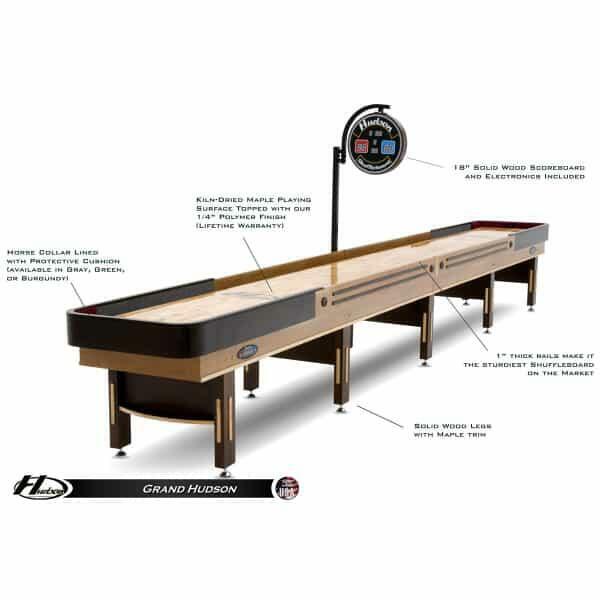 And Hudson is a trusted name in professional circles; the best players, including 27-Time World Shuffleboard Champ Billy Mays, play and use them! 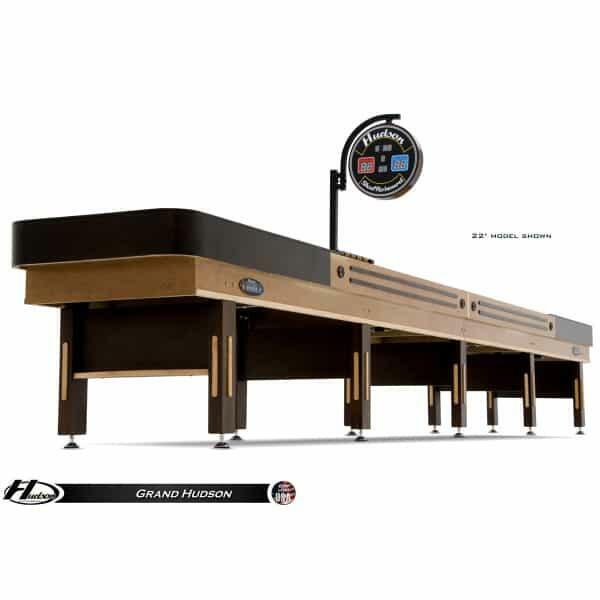 Contact Family Leisure and ask for details on the 22' Grand Hudson Shuffleboard Table!